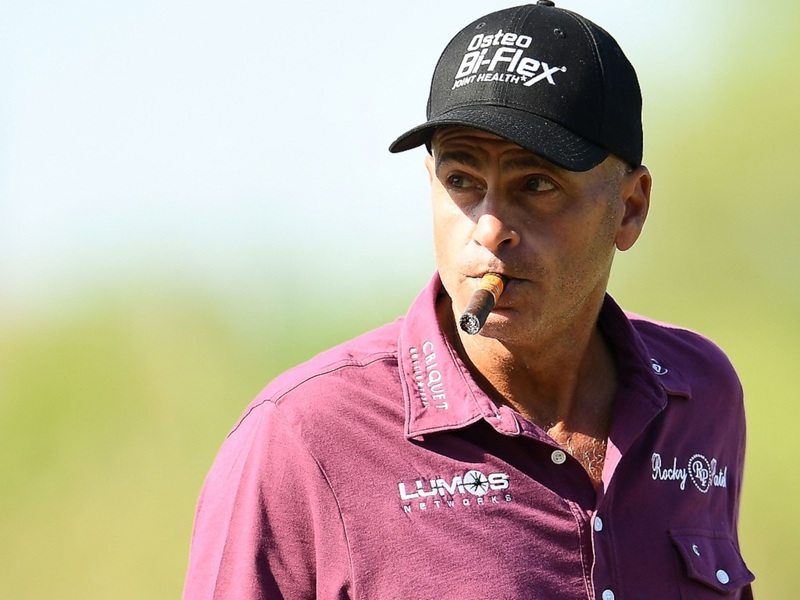 Is Rocco Mediate right to roast players who complained about U.S. Open setup? Following his opening round at the U.S. Senior Open the 2008 U.S. Open runner-up had some harsh words, as we mentioned earlier in the Morning 9. Not for the USGA, mind you, but for the players who based U.S. golf’s governing body for the setup at Shinnecock Hills. Mediate his U.S. Senior Open with a 2-under 68 at The Broadmoor in Colorado Springs, but he was just heating up as the round concluded. Always a character, never one to mince words, here’s what he said about player comments about Shinnecock’s setup and conditioning. 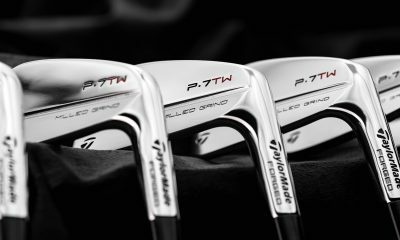 What do you think, GolfWRX members? Does Rocco appropriately represent the old-school, hardline U.S. Open contingent’s perspective, or is he off base? All of you were not at too. Why bother to comment then. If just look at the context, you shall be fine. No one likes to see a 21 under par tourney .Roco is dead on with his comments. It’s hard to listen to anyone complain when their profession involves hitting a little white ball, finding it, and hitting it again. FWP (First World Problems)!! I would say Rocco is wrong, because even the USGA said “Woops, we goofed, Sorry about that”. Took Tiger to the wire at Torrey Pines. Rocco is irrelevant in golf. The only way he gets press is when he opens his mouth and says something stupid – which unfortunately, is too often. Maybe true. But GolfWRX asked for our opinion. Who asked Rocco for his opinion on tournament he didn’t even play in. You are right,Mediate has always been full of hot air! Rocco you are spot on and I’m buying you a drink. This is OUR national championship. It should be the toughest test in golf. These “Independent Contractors” do not have to play it if it is “unfair”. They can sit home and watch. 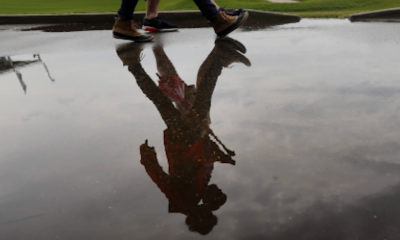 Yes the course was set up to be extremely difficult and the USGA cannot control Mother Nature. If it makes it harder so be it. These crybabies play a game for millions of dollars and they want to shoot “easy” 65s every week. How great it was to see who had the ability to fight through all of the adversity to execute golf shots and if they got a bad break they fought on. The USGA needs to grow a pair and tell the crybabies to stay home next year. I don’t play with any single digits who enjoy good shots ending up in bad spots. Rocco likes to talk and I guess since he finished second to Tiger once he believes he has the right ideas concerning the setup. Courses change, but this one changed nearly ten strokes from morning to afternoon. Koepka also hits scoring clubs into many more greens than most players do, hence his ability to hold the greens. Can’t reward the long hitters every day, can you? So, unless you can hit a 375 yard drive followed by a 165 yard wedge, the hole is basically unplayable. That’s called a fair hole for a few players and unfair for most of the rest. Barring crazy weather, that’s the largest score discrepancy from AM to PM that I’ve seen since the 2000 Open at Pebble with the fog/wind. Rocco is 100% correct- spot on. I always liked him, and now even more so. Hate those that whine, Good on Rocco. That’s golf . Get over it. I was unaware that players were being “ forced” to participate in this event. That being said, the complaints are justified. Had that been able to stay home, or play their local Muni and shoot a low score, it would have been more fair for these poor guys. Maybe these professional golfers should set up “go fund me” accounts to help make ends meet for the week. Rocco is wrong. The concern about the setup wasn’t how hard it was, but how unfair it was. It created a randomness that was unacceptable. Good shots were punished. Bad shots were punished disproportionately–a small error could result in a horrible outcome while a worse error would be punished less severely. The guy with the most lucky bounces–not the best player–won. The US Open has always had this quality, which is why you see some incredible names absent from the winners’ rolls. Just like Augusta used to exclude some players (see Trevino, Lee), the US Open has often rewarded nobodies (see North, Andy). But now? It’s just goofy golf. They should be putting purple balls with orange putters. Unfair? B.O.O. H.O.O The winner walks away with nearly $2,000.000. I’m not crying for anyone’s bunker shot. Have not heard the winner moan once about the course setup – says it all. Play it as it lies and accept the challenge. If a perfectly hit shot rolls 30 yards off the green then it was not so perfect after all! But that’s not true, and that’s the point of the complaints. There were some holes that could not–would not–result in a good score, no matter how good the approach shot was. They would punish–or reward–good shots and bad. That’s what was meant by calling it unfair. The golf course should be challenging enough to discern great golf shots from middling ones. But this course didn’t; it reduced the great to good, but the good also remained. This served to keep scoring down, sure, but it didn’t allow the great players to distinguish themselves. What is deemed as a good score? Par is irrelevant, so making a bogey/double bogey on a difficult hole may be a good score. Similar to how a 4 on a 280-yard par 4 may be a bad score. What is deemed a good shot? 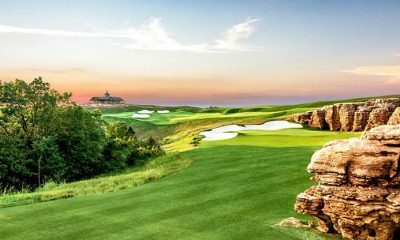 A shot where the player wants to hit it? What if where they want to hit it is incorrect? A player can hit a well struck shot to the wrong part of the green and be punished. If there is no “right” part of the green then the players should be looking for areas that will be receptive to easier up and downs. I feel like it’s common to hear this narrative of lucky bounces and good shots vs bad shots all being treated randomly yet Brooks Koepka dominated both US Opens on completely different setups. I find it hard to believe that Koepka got all the lucky bounces two years in a row on two tracks that are polar opposites. As mentioned above, the players around the top of the leaderboard seemed to be the ones playing the course and not trying to play against par. The US Open is supposed to be a test of both skill and mental strength to persevere. Lastly, you say that it didn’t allow great players to distinguish themselves… Top 10 included Koepka, Fleetwood, DJ, Reed, Stenson, and Rose…. I think those names speak for themselves. He sure sounds like get off my lawn guy. He has just as much right to express his opinion as anyone else. You don’t have to agree with him, but that doesn’t mean he can’t offer his opinion. exactly, there is no right or wrong in social things. Do Rocco pull his pants up to high? too high for my taste not for his. Rock on Rocco. It’s more fun watching a tough tournament like the US Open than a 20-under free-for-all turkey shoot. Remember you’re speaking for yourself. Speaking for myself, I enjoy watching the pros confront a challenge. 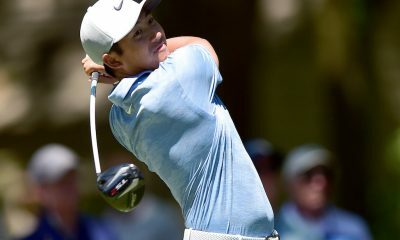 BUT – (British) Open weather aside, I do not enjoy watching the bet players in the world shoot +10, especially when they’re spending all day hitting 3wd, hybrid and iron off the tee, long approaches to the fat of the green @ 40ft, three putting for bogey. I can see that all day, every day, on any decent golf course around, and better yet be playing myself. Seems like it has always been a difficult tournament. I agree with Rocco. I was saying this in my head the whole time. The whole thing has started to put me off watching these wealthy dorks play. I think we’ve given these pro golfers a bit too much lee way since the start of the tiger era – we’ve lifted them too high up. They really are just one step above professional bowlers after all. I play a ton of golf. After many years of playing, and the better I get at this game, the more I realize its a just another fun little game of leisure, nothing more. Like bocce or tennis. You crack a couple beers and go out and have some fun competition with your buddies. Sure, it is very difficult at first, and that adds to the mysticicsm at first. But I am beyond that. I am losing interest in watching overpayed children of privledge hit a plastic ball around a field. What they are doing is absolutely no where near as incredible and interesting as the superbowl or the Stanly cup, or anything else going on elsewhere around the world for that matter. They are professionals of a game of leisure and I am not interested in thier opinions. I agree with Rocco. The course was playing extraordinarily hard but it is a major. It is ok to have a few major tournaments extremely difficult to test the players. Most tournaments the players are shooting lights out double digits under par. US Open par is a good score. The balls were not blowing off the green by the wind so it was fair enough. Koepka was able to play the course well and that is why he won. 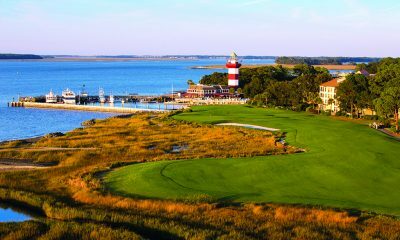 Here is my biggest gripe Nobody including all the Golf Opinion Guys mainly Rich Lerner,David Duvall, Brandall Chamblee,& Frank Nobilo all blamed the USGA when they all could have blamed Shinnicock Golf Course. There is no reason to have stupid greeen configurations that can’t be set up for all different kind of pin locations for all type of wind directions. The problem the USGA had was predicting wind conditions and can be wrong as a day progresses so that doesn’t work and the USGA got the blame for it because there is only so many locations on thier that you can put a pin at. So they played faster in the afternoon. Had the USGA added water on the greens for every to slow them could anyone imagine the uproar players would have had going the other way at the USGA. 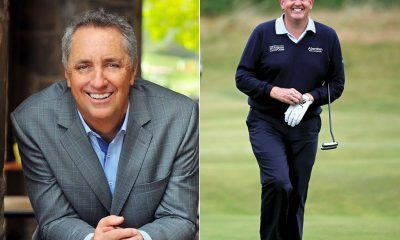 The USGA runs so many of it’s own Tournaments that the only that ever get complained about in media from players, fans and golf media in the US Open. Why is that. Everone apparently has an attitude the puts the USGA in the damned if they do and damned if they don’t do in setting up golf courses. Go Roco for speaking out. Everyone has to play the same golf course. While yes it may have changed from the morning, that’s life. I applaud Rocco for finally saying what’s right and not furthering this cry baby mentality. I mean the pros only make more money in 4 days then the majority of the world makes in there life. The Majors are supposed to be about survival and not the weekly entertainment we’re used to seeing. Koepka won at +1. That’s about what the winning score in a major should be. All these spoiled bomb-and-gouge cucks complaining, grow up. Are we supposed to think that the USGA is going to allow that strategy to be used to win? It’s not the score that’s the issue. The real issue is: did the golf course distinguish the great from the very good? Answer: no. It was so poorly set up it randomized results. What if the greens were set up like a pachinko machine, with random bounces everywhere? Someone would still win, right? But would it be the best player? No, it would be the one who got the luckiest random bounces. Once again, the USGA punishes great golf and randomizes its outcome. My only comment is that the R&A seems to let courses like the Old Course at St Andrews be what they are and not try to manipulate them. Based on the weather some days 72 is a great score and some days 72 will get you lapped by the field. I agree with David Fay, they had it a little too closely mowed all over. The slopes and contours and uneven lies make the course difficult as it is. After they softened it for Sunday it wasn’t like the field average was under par. The USGA outsmarts itself. Couldn’t find Rocco’s name on the 2018 US Open Leaderboard…. Oh right, he didn’t play….probably shouldn’t comment about something he wasn’t at..
Couldn’t find yours either. Rocco’s played in a few more than you have. And he’s heard all the whining before at Opens he has played in. You must be one of the modern babies. 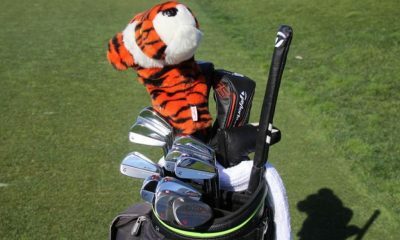 Did you forget his epic battle with Tiger at Torrey Pines in 2008? He has been there and done that, so his opinion holds weight. All I could tthink of while watching the Open and hearing “Professional “ players cry about the setup was, IT’S SUPPOSED TO BE DIFFICULT!!! It’s about who can negotiate this course and win! It should be the most difficult test of golf, your making millions playing the game so why cry? Go home if it’s too difficult! Who wants to see -24 in a major? I want to see players struggle like I do on a course. Isn’t this what pro sports is all about? The ability to overcome the opponent and be victorious against all odds? Who wants to watch the Patriots play your local high school football team at the Super Bowl. I don’t get it. It’s not supposed to be easy, generous or otherwise! I love Rocco but he wasn’t there. It was obvious to anyone watching that the USGA almost lost this great course again. Some comments were a bit over the top by a few players but most agreed it was fair, barely. 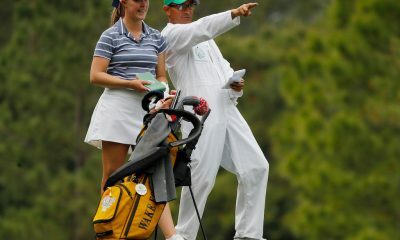 The USGA should know that if someone wins with a final score under par no one aside from them cares. Rocco’s comments just sound like an old guy picking on the new kids.I’m still pulling for Rocco every time he tees it up! Those with principles love Rocco. The phony bandwagoners pretend to love Tiger. I do. He is one of my favorit golfers ever. Agreed. Almost all of the significant criticism came from Saturday afternoon players. Outside of that time period almost everyone said it played tough but fair. The USGA messed up the setup on Saturday and over-corrected on Sunday. It doesn’t make sense to make the greens so fast that a foot of difference in location near the middle of the green is 3-4 shots different in score. Hit the nail on the head! Shut up play or don’t come! Couldn’t agree more with him. Too bad if it’s tough and not fair. When has golf ever been that? This isn’t just another golf tournament. Embrace Putters nailed the refinish on this flat-stick to match its head cover. Beautiful looking irons from National Custom Works. 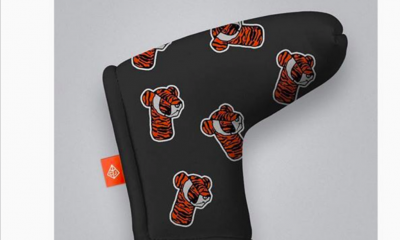 Did any WRXers grab a “Never Lag” putter or a head cover over at Swag Golf? 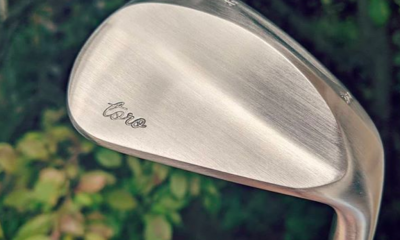 Romines Golf Designs took some inspiration from Lefty. 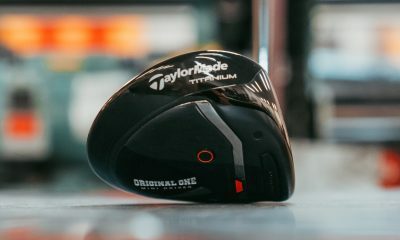 Who else loves the twist neck design here from Tyson Lamb? 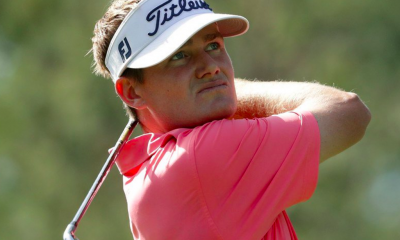 John Peterson, the former NCAA D-I individual champion, gave up his ambition of making a living on Tour last summer when he failed to keep his PGA Tour card, but inspired by Tiger Woods’ victory at the Masters, Peterson is set to make a comeback. The 30-year-old has been working in a real estate office for the past seven months and announced his decision to return on Matt Moscona’s radio show “After Review” on 104.5 FM ESPN Baton Rouge. 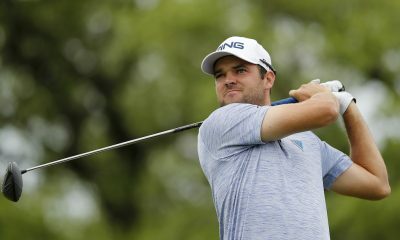 The Texan told Moscona about the desire he felt once again to tee it up while watching the Masters earlier this month, with both Patrick Cantlay and Tiger Woods serving as pivotal players in Peterson’s decision. 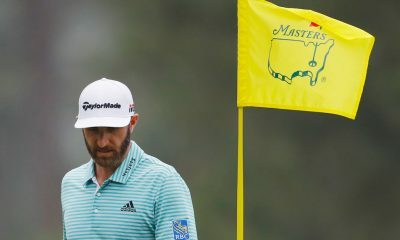 As for where he stands at this particular moment with his comeback, Peterson has no Tour status and will rely on sponsor exemptions and Monday qualifiers, while the mini-tour route is another option for the Texan. Peterson knows he’s taking a risk in his latest comeback, but the 30-year-old sounds ready for the challenge that lies ahead. 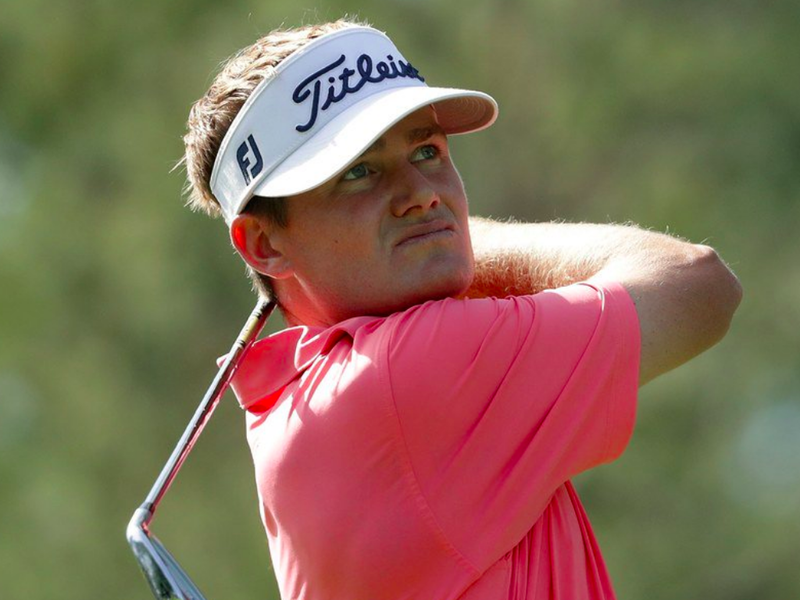 …and multiple PGA Tour winner Kevin Streelman has a cover ready for action at this week’s Zurich Classic of New Orleans. 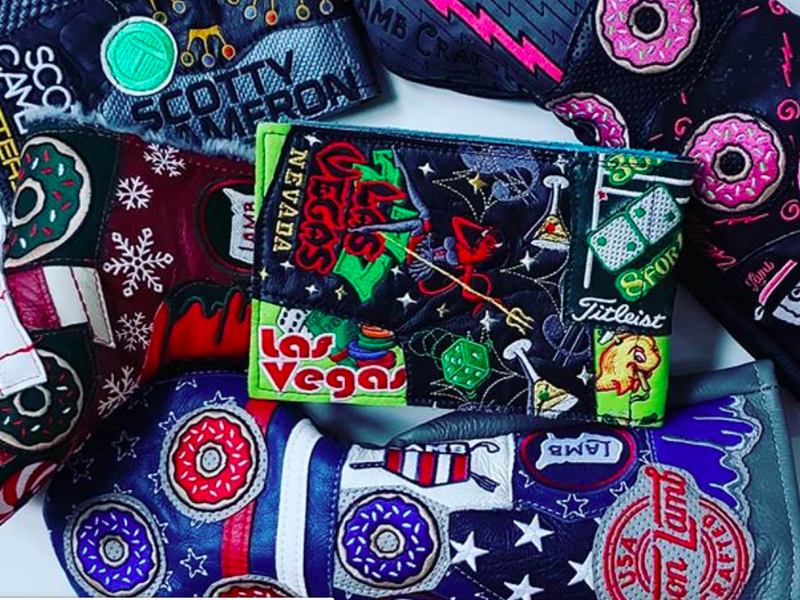 Kevin Streelman is repping his hometown down at the Zurich Classic of New Orleans with our new Never Lag Cover, available tomorrow at 10am CT) and his Swag Handsome Too Proto. 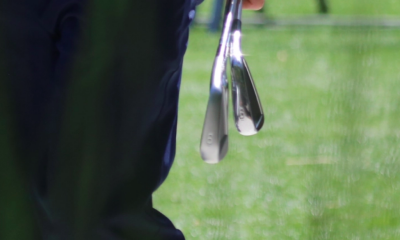 For anyone still having Masters withdrawal symptoms, here’s some “Augusta green” Raw Apex MBs. 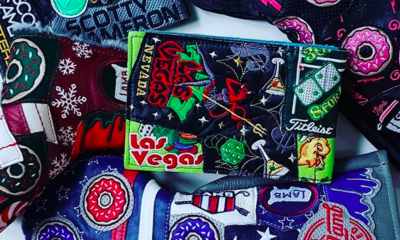 Amazing patchwork from Robert Mark Golf. 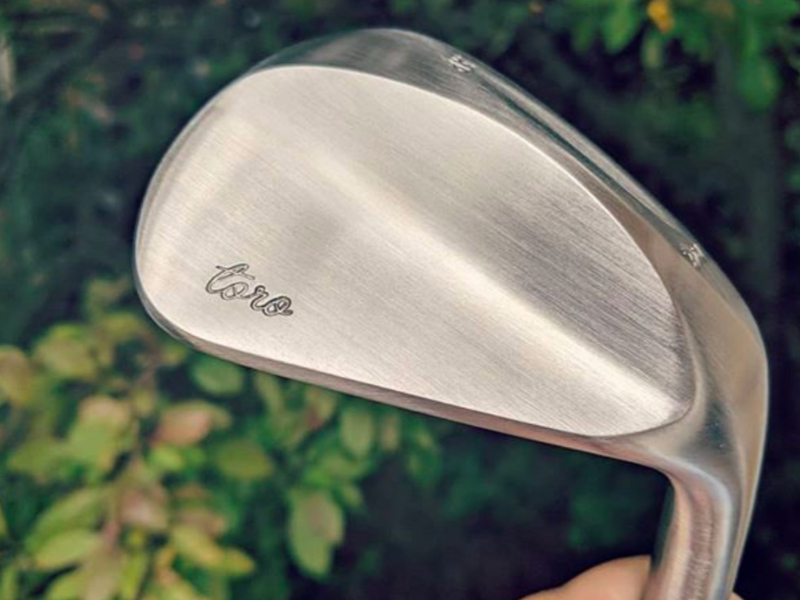 A very cool Elements Gold was handed to Corey Conners from UST Mamiya Golf Shafts at this week’s event. We handed off an engraved (SWIPE to see) Elements Gold to @coreyconners the #ValeroTxOpen champ at the #ZurichClassic today. ???? Good luck this week Corey ??? ?